This weekend my daughter attended a party, the invitation stated you must be inspired and dressed as a hippy love child but not dress 70's, must be a modern take on a hippy..... hmmm ? what to do... I have no clue.... I guess go bright!! 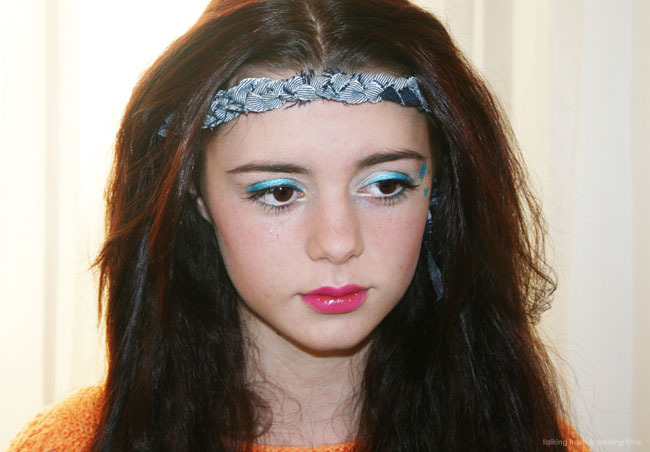 So all my ideas were rejected with the clothing but my blue 70s eye-shadow was agreed upon, which was great except at the last minute I could not find my blue eye-shadow palette... errr mega pissed off, its my favourite blues to use! 1/ First up draw a thin black line on top lash, as close to your lashes as possible. This is just to create some depth to the eye and break up the bright blue from your eyes. 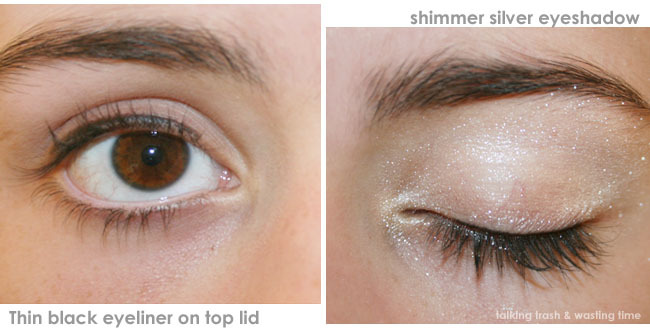 2/ Now using your shimmer eye shadow apply it to the whole top lid all the way to your eyebrow & to the inner eye. 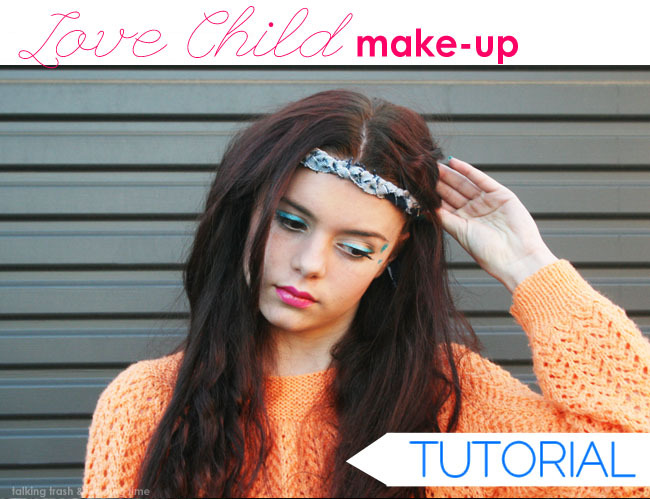 3/ Draw a extra thick line from the inner eye all the way to the outer eye with your blue eye-liner. 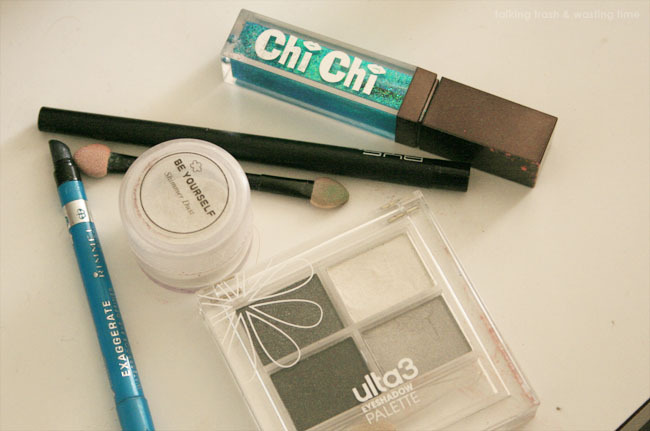 4/ Add some white eye-shadow on top lid and more shimmer to the rest of the eye area. 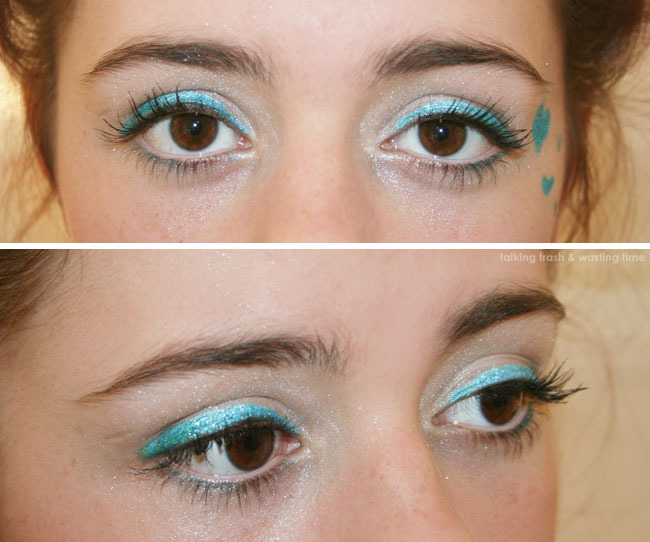 5/ On the lower lid draw a line with the same blue eye-liner and smudge. Do not put this on the inside of your lower lid, always apply eye-liner on the outside of your lower lids otherwise your eyes with close up and look smaller. 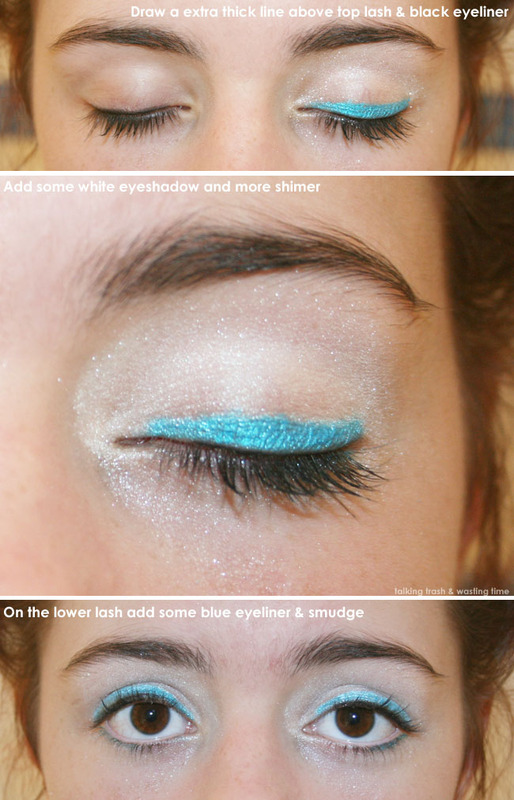 6/ Apply some liquid glitter to the sides of your eyes on top of the blue eye-liner. 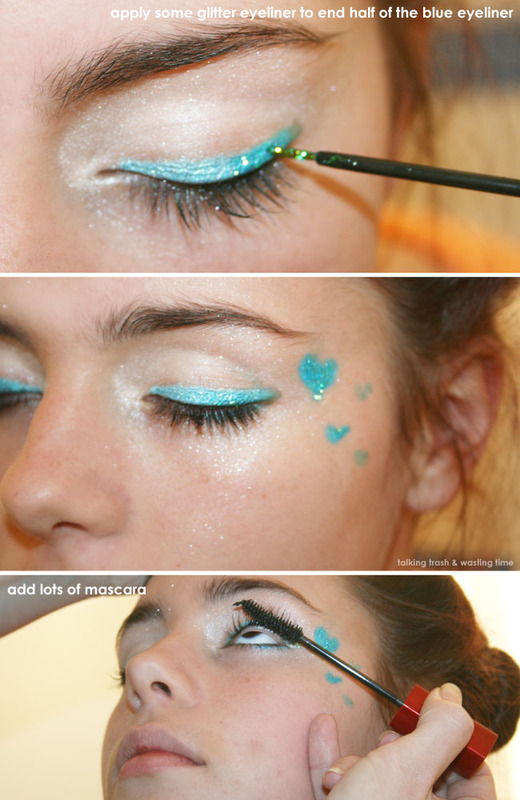 This is a fun way to wear blue without it being over the top :) Great way to add some colour to your look. Hair done, shoes on and ready to go!